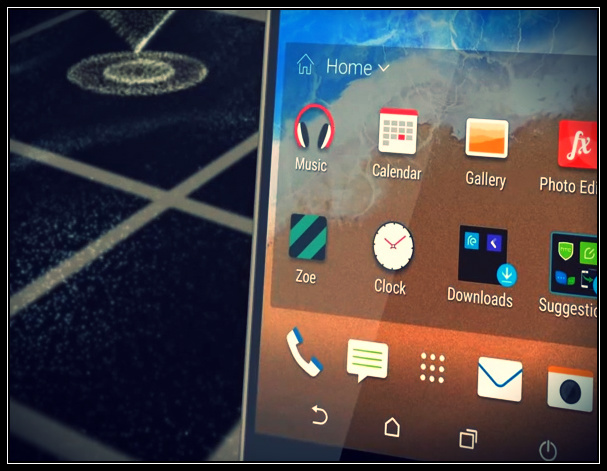 Android Revolution | Mobile Device Technologies: HTC Sense 7.0 - can we expect any of these? With HTC Sense 7.0 right around the corner I thought of making some little "wish-list" of a features I would love to see in the refreshed HTC UI. If you don't know yet - HTC Sense is so far the most advanced and by many known as the best custom Android User Interface. Apple has its iOS, Samsung has its plastic and HTC has its Sense UI. None of the features are revolutionary, some of them are actually quite common or already available via 3rd party mods (like Sense Toolbox). The thing is, it would be great to have them (at least few of them) available out of the box. Lets go through the list! Increase the number of icons inside a folder - for some reason the maximum number of icons inside a folder is 20. With so many games and applications in the Google Play it's really strange limitation. I'm not a gamer, but I have more then 20 games. Shell I have folders like "Games 1", "Games 2", "Games 3" etc? Possibility to create folders in the app drawer when using the Alphabetical mode. So far we can add folders only in the "Custom" view mode. I would like to organize icons inside the app drawer into folders and keep the aliphatic order of the icons outside folders. Possibility to customize the battery saver feature - HTC in the Sense 4+ UI introduced a very useful toggle to turn on/off battery saver. However, it's barely possible to customize it, even in the HTC Sense 6.0. Possibility to change the moment when the power saver mode is turned on, the CPU min/max frequencies, screen dim level etc. would be really great. Move the Flashlight and the Calculator apps from the /data/preload back to the /system/app location. I know - this has barely anything to do with the user interface, however I can't find a proper explanation why HTC decided to let these 2 stock apps be on the /data partition instead a /system partition. It's not a big deal as long as the bootloader is not unlocked. After unlocking the bootloader the content of /data partition is being wiped, so both - pretty useful - apps are gone. Independent Lock Screen short-cuts. I really miss the possibility to use different short-cuts on the Lock Screen and different on the main screen. Easy copy phone number from the contact details page. Let me explain it this way - go to the People app, enter any contact and long press on the phone number. There is no "Copy" on the list. Instead, you need to select "Edit" first and then select the entire number and copy it. Why not making it easier with just "Copy" command on the long press menu? Restore the sliding ("scrolling") wallpaper. Or at least give provide an option in the / Setting / Personalize / Home screen to choose between "static" or "scrolling" wallpaper. I really liked that Android feature! Simple 1x1 alarm clock widget - it would be great to have one, small 1x1 widget that takes you directly to alarm clock settings. So, what do you thing about these ideas? Do you think that some of them might be already in the HTC Sense 7.0? Or maybe you have something else in mind? Please share your opinion!